Kansas City’s newly formed Midwest Chamber Ensemble has just named Kerwin Young its first composer in residence for the 2012-2013 & 2013-2014 seasons. The MCE will premier Young’s “House of Price” for string orchestra on September 30, 2012. Back in the day, Matty C established the Unsigned Hype section to the Source Magazine, before becoming a recording company executive. I remember back in 1991 when the Source was a 50cent magazine. I remember when it first began, Daddy Reef came up to old Hit Factory recording studio on 42nd Street, where we were working on the Don’t Sweat the Technique album for Eric B. & Rakim. Between 1991 and 1993, I was fortunate to have produced and worked on several demos for new hip-hop artists. The place was 510 South Franklin, Hempstead, NY, home of the Bomb Squad. 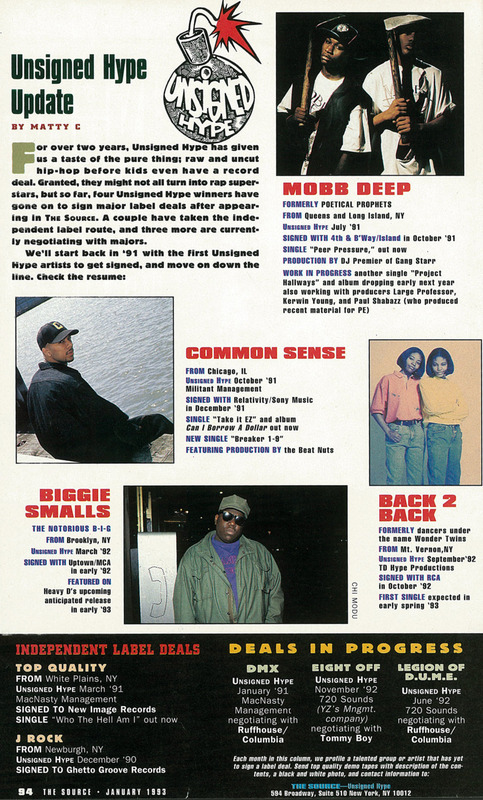 Paul Shabazz and I worked with Mobb Deep. Prodigy of Mobb Deep and I worked with Dr. Seus. Prince Paul came out to 510 along with Poetic to collab on the Brothers Grimm project. My buddy, Richard “Lord of the Board” Simmons also worked on that demo. Rich and I were a production duo from our college days at NYIT, and had worked on the Don’t Sweat the Technique album together. In the summer of 1994, Chuck D and I embarked on a journey to Los Angeles, California, where we began working on the Searching for Jimi Hendrix project with Alan Douglas. We returned to New York and began the final stages of production for the song, Free at the Edge of an Answer. While much of the recording sessions were not documented in the video, you can get a glimpse of the working atmosphere as Chuck, Gerry Comito (recording engineer), and I (Kerwin “Sleek” Young) created. The album project wasn’t released until 2000. Other artists who worked on the album include the Five Blind Boys of Alabama, Cassandra Wilson, Mark Isham, Taylor Dayne, and Los Lobos. Also, a recent commission for an Afro-beat composition entitled, Journey to the Center of the Floor, was completed in June. Current works in progress are a composition for solo Guzheng (古筝), four concert works for full orchestra, and a film score.